Viral campaigns don’t exist: there’s only a “viral factor”! When online advertising experts are asked what is the biggest shortcome of viral campaigns, no one will struggle to identify the problem of the difficulty to measure the returns on investments of such campaigns, due to the difficult quantification of the value of a parameter called “brand interaction“. This is not a new problem since even in old-school advertising, brand loyalty and brand fidelity were easily identifiable but hardly convertible in terms of added value to the sales. In both cases we can measure the change in attitude towards the brand (and therefore sales) due to an external factor (positive or negative) influencing the purchasing behaviour, but we cannot directy see the effects, if people are not going to be tested against their consideration for the brand. Most of the time, viral marketers promote the power of their iniciatives by showing the increase of awareness consequent to their projects. Unfortunately increased awareness by itself is not enough to qualify a successful social or viral campaign, since is nothing but the consequence of a branding initiative (by definition). 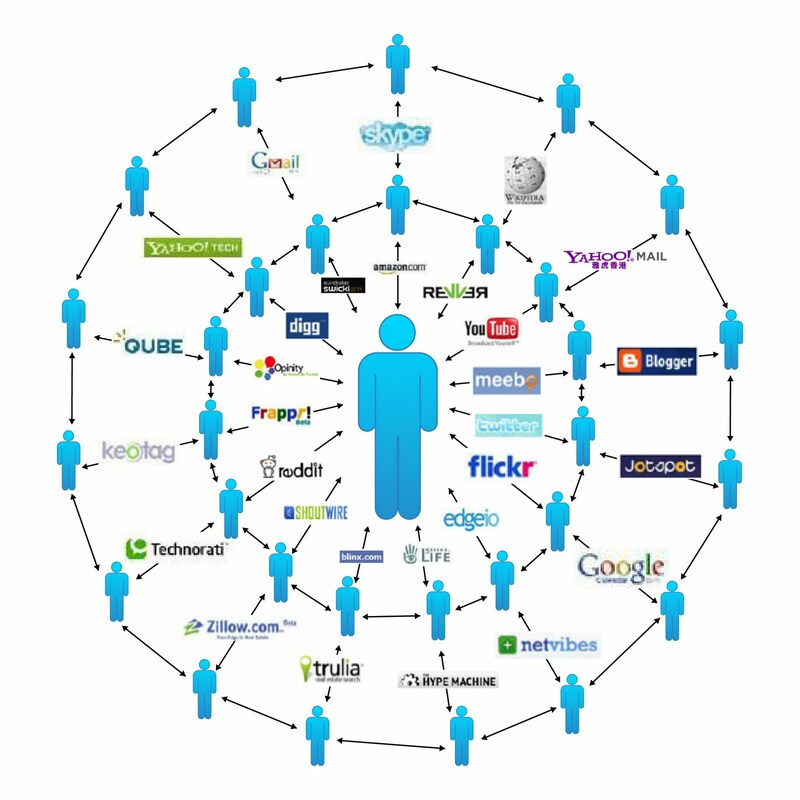 Therefore what is often confused by viral, is nothing but a unusual and sometimes extravagant way of promoting a brand. If I put resources (monetary and human) in to diffusing a “viral” video on YouTube, or having people signed up to my branded page on Facebook, I’m not really creating something viral. What I’m just promoting an unconventional branding message, through what nowadays are already two (already) very commons media of mass communication. Then, how can we identify the effect of a viral campaign? The effect of a viral campaign is nothing but the ability of amplify the magnitude of a regular advertising campaign, beyond the expected by the returns, given the investments made. This implies that any viral campaign is a “classic” advertising campaign with a multiplier effect in it (as much as an online marketing campaign based on new media like SEM, mobile, video or display, can be defined as “classic” – but this is another topic of discussion). 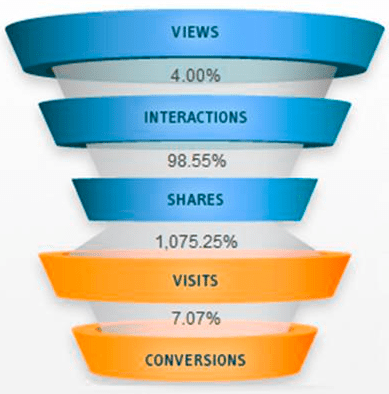 As correctly represented by Crowd Factory in their webinar on September 1st 2010, the effects of a social or viral campaign, is seen in the accordion-shaped behavior that the advertising funnel assumes. Here we see how people, after having interacted with the brand in the way the advertising campaign was intended (it could have been a purchase, a sign-up, a registration, etc. ), they decide to share its message with other people, spreading the reach of the campaign beyond the limits of the original campaign itself. Can we than say that viral campaigns don’t exist and there is only a viarl factor? Probably. The truth is that we can structure our advertising campaign in order to amplify its viral impact , but there is never going to be an independent, self standing, auto-fueling, viral campaign. Let’s take any kind of content that has proven to have a good viral success: if no one had promoted it in the first place (even posting it on their friend’s Facebook page – that is much like old-school flyering), it wouldn’t have spread. And cases where some company (or individual) just creates a great content that is left there by itself and then other people, independently, start to pick it up and share it are as rare as a billion-dollars business idea. It’s even harder if this content has also to channel an advertising message with it. Why am I putting so much emphasis in the “viral effect“? Because contrarly to what many HIPPOs (Highest Paid Person’s Opinion) believe (at least in many Italian companies), a viral campaign obays to the same advertising rule that any other online advertising campaign does, and nevertheless should be approached with the same strategic planning or financial resources. It is not necessary to produce mediocre content (that they’ll believe it is great) and put it on YouTube, with a ridiculus investment, in order to “pick up and spread like wildfire”! It is not sufficient to do a mediocre website with a questionable UX, or a lousy Facebook page, to have people “socially interact with your brand”! As always, content and good ideas are the rulers in the advertising world. Accurate media planning and positioning is the key for succesful a campaign. And more often than desired, masses are going to react differently from what you have expected. Therefore I am sorry to say that these new trends in the advertising world are not going to allow you to cut expenditures (in money, or good people’s time), but, if you are good enough, they are going to surerly amplify your success. One suggestion that I feel like giving before the end of this post is: don’t rely on the magical effects of you viral campaigns. Things don’t just happen; people don’t just start to see and share: either the content is excellent (and it is not so common or cheap to produce ecxellent content with an advertising message in it), or there must be a benefit for people in diffusing your advertising message. So next time you are going to say “it is going to spread like wildfire”, stop for a second and think that the masses may not find your idea so charming afterall. That is the point where you are going to have to give them an incentive to make it viral! Thank you for taking this possiblity to discuss this, I feel strongly over it and I take advantage of researching this subject. When possible, as you gain data, please update this site with new information. I’ve found it extremely useful. Where did you get that Viral Marketing Model picture from? Sorry Dom, don’t remember! Try to look on Google images some social-related queries.